When I first moved to this farm I noticed in the spring that the east side of my house, where the sun would warm it up in March and April, would be alive with what appeared to be flies. There were so many that I thought maybe I needed to call the exterminator. But since they seemed to be doing nothing I left them be for the moment and I began observing them. 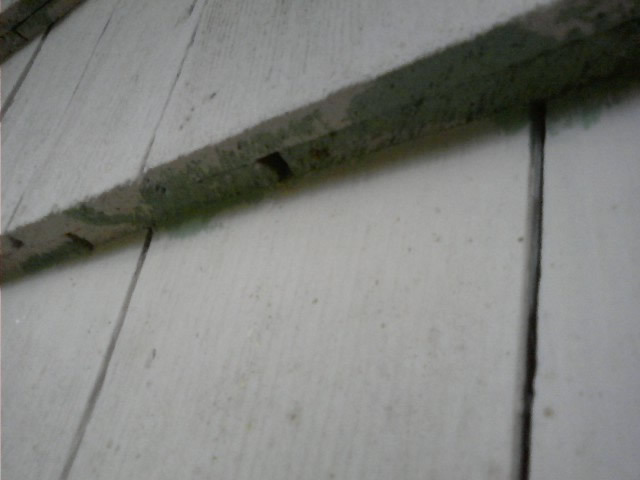 Soon I discovered that these were Orchard Mason Bees. Many portions of my house are sided with a double course of shingles. 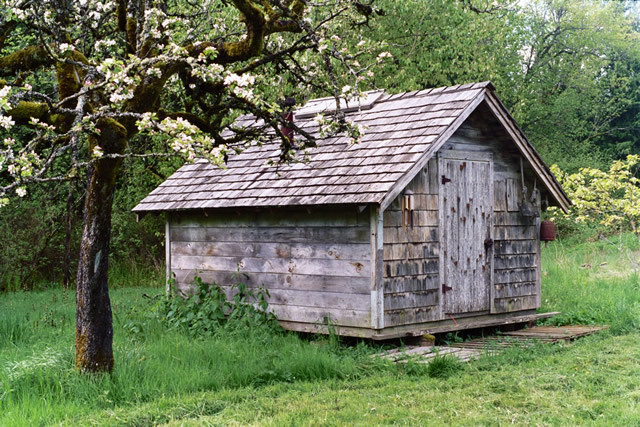 This was curious, and I guess the original builder had a lot of shingles, and time. The end result, however, is that perfect tunnels were created from this method of shingling, tunnels that the Orchard Mason Bees had been utilizing for decades to build their nests. I learned to build my own simple nest blocks to help propagate the bees (here you can see one going into its hole). Here they lay their eggs and seal them in with mud to wait for the following spring. The bees do not sting, make honey, or form colonies like bees we are more familiar with. But they are superior pollinators, and very active in the early spring when temperatures are too low for honeybees. The early spring season is when fruit trees blossom. 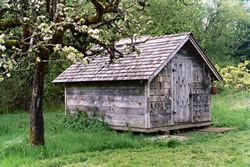 The area around my house had the remnants of a very old orchard that had nurtured the bees for many years. And, in turn, the bees had nurtured the trees. 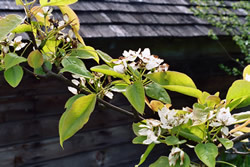 Here an old Gravenstein apple tree still blossoms beside my sauna shack. The Orchard Mason Bees have a different body structure than honeybees, and work with a different action when they visit the blossom. Each blossom requires a few visits to become fully pollinated. 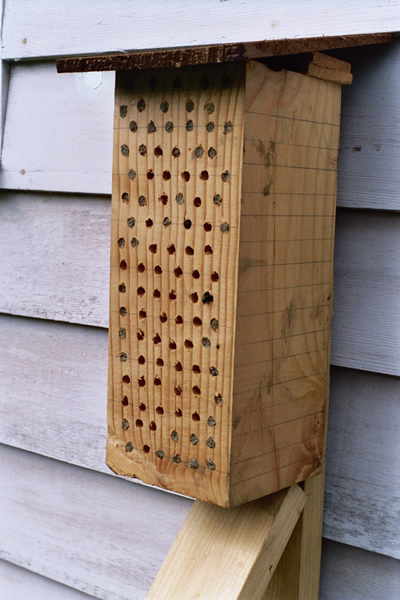 The bees and the blossoms are shaped each to fit the other, and because Orchard Mason Bees ‘fit” better than other bees they can pollinate more completely with fewer visits, and also during the season when the blossoms are open. 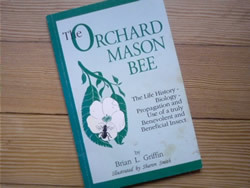 Curiously, after discovering my bee inheritance I later did a remodeling job for the man who wrote the little book that had clued me into the whole Orchard Mason Bee story. 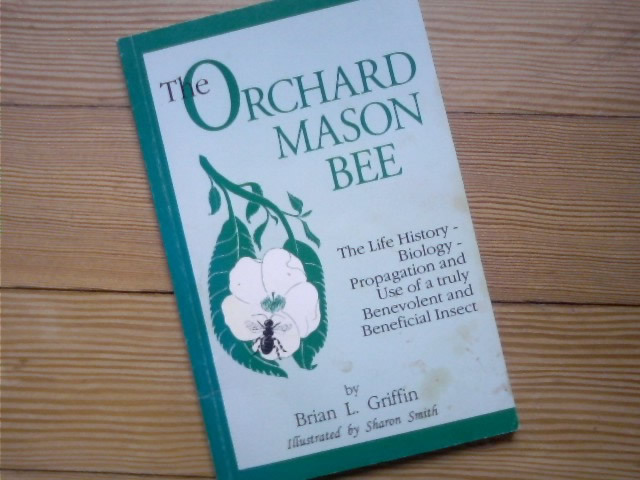 It’s called "The Orchard Mason Bee", by Brian Griffin, self published and available at local bookstores, or through Knox Cellars Press.